Hayley Okines is a 12 year old girl from the UK living with Progeria. 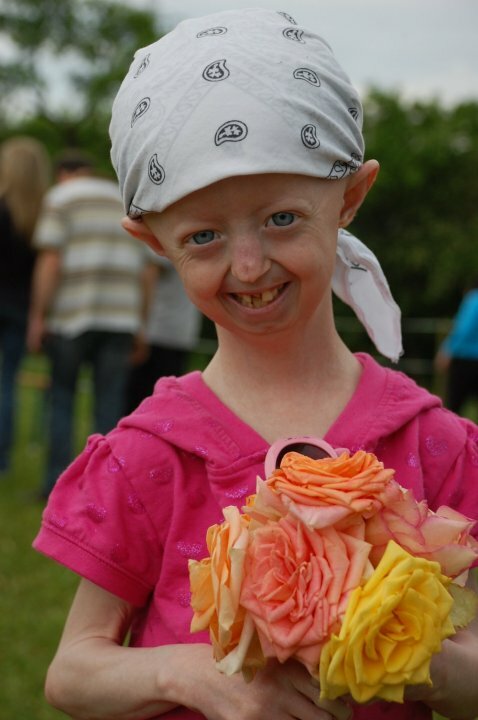 She is raising money to fund a 2010 UK Reunion for children around the world with Progeria. The event will be held August 6-12. Hayley and her family are trying to raise £30,000 to make this dream come true. They have participated in events across the country but want to hold the reunion in the UK for the first time. So far, twenty four families have been invited and 10 are confirmed to attend. Hayley is currently participating in the clinical drug trials with PRF in Boston, Mass. Hayley recently visited Boston in April to attend the three day workshop attended by scientists from across the world.